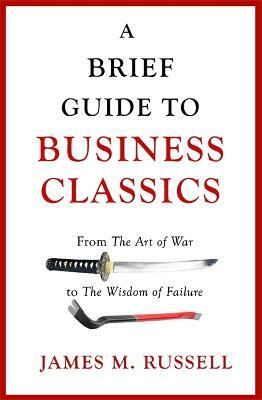 An entertaining, accessible guide to 70 classic business texts, covering every aspect of business and a broad span of time. The world of business books is a curious place where one can find everyone from great businesspeople like Warren Buffett, Steve Jobs and Elon Musk, to the most spectacular business failures such as Enron and the sub-prime business market. There are geniuses, hard workers, academics and entrepreneurs as well a few charlatans and hucksters. There's even room for Donald Trump. The 70 titles covered were chosen with various parameters in mind: to cover a range of areas of business, from sales and marketing to negotiation, entrepreneurship to investing, leadership to innovation, and from traditional and corporate models of business to start-up manuals and alternative angles on the subject. Obvious bestselling titles such as How to Make Friends and Influence People or 7 Habits of Highly Effective People have been included, but there are also those books of more questionable value often included on recommended lists of business classics, included here by way of warning. The chosen books also cover a wide span of time and acknowledge that some of the most powerful or entertaining insights into business can be found in texts that aren't perceived as being 'business books', for instance The Art of War, Microserfs, Thinking Fast and Slow and The Wealth of Nations.The selection includes a good range of the most recent successes in business publishing with which readers may be less familiar. The titles are arranged chronologically, allowing the reader to dip in, but also casting an intriguing light on how trends in business titles have changed over the years. Among these titles, you will find expert advice, based on solid research (for instance The Effective Executive or Getting to Yes), and inspirational guides to setting up businesses and running them on sound foundations (such as True North, Crucial Conversations, or We) alongside dubious management manuals that take a single flawed idea and stretch it out to the point of absurdity. The hope is that the reader will be inspired to read the best of these titles, ignore the worst of them, and will come away with at least a basic idea of what each has to teach us about business. JAMES M. RUSSELL has a philosophy degree from the University of Cambridge, a post-graduate qualification in critical theory, and has taught at the Open University in the UK. He currently works as director of a media-related business. He is the author of Brief Guides to Philosophical Classics, Spiritual Classics and Business Classics. He lives in north London with his wife, daughter and two cats.